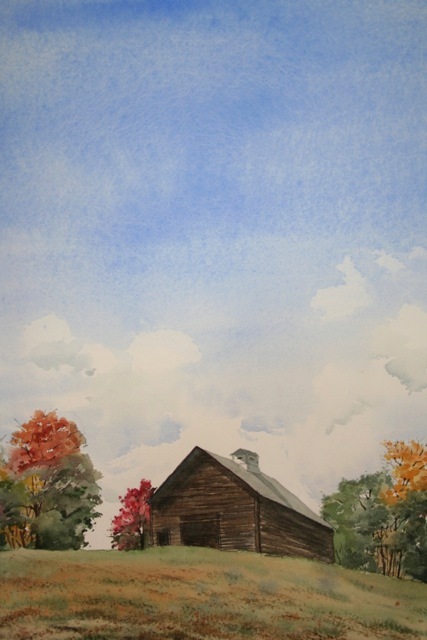 During January, the Gallery at the Garden features an exhibit entitled “New England Through the Eyes of an Artist,” presenting original watercolor paintings by Jane May Jones, with subjects ranging from fall in Vermont to summer on Cape Cod and everything in between. The Gallery at the Garden is located at the Robert H. Gibson River Garden, home of Strolling of the Heifers, at 157 Main Street in Brattleboro. The show opens Friday evening, Jan. 2, with the gallery open from 5 p.m. to 8 p.m., and continues through January 30. Jones, whose home is in Readsboro, nearly always has a camera at her side on her daily travels, and looks for scenes that reflect a natural beauty of composition as well as feelings of peace and serenity. 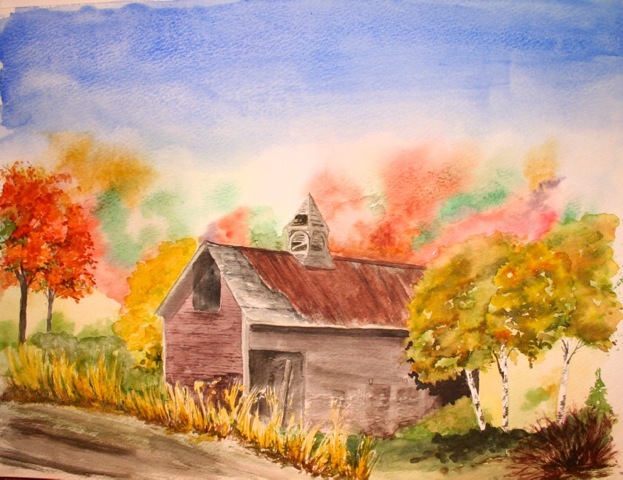 She then transposes those scenes into her watercolor paintings. “The combination of architectural and garden elements delights my senses and those studying my work,” Jones says. “These elements are bought to the forefront with the combination of muted grays and browns of the older houses, which I am often drawn to, and I then liven them up with a punch of color in a flower box or rambling rose. Gardening has been a part of Jones’s life since she was a small girl in England. She also takes delight in decorating her home, and has used both her gardening and decorating skills professionally. These two talents are married together in her paintings and form the basis of most of her subject matter. Her work focuses on interesting doorways and other architectural elements of homes and business, as well as the scenic beauty of Vermont and other areas of New England. Nearly all of her paintings also include some kind of flora and even some fauna. All of the works at the River Garden will be original watercolors, and all are for sale. Jones also offers cards and calendars at her website, www.janemayjones.com. The exhibit will be open on Friday evening, Jan. 2, from 5:30 until 8:30 PM. The Gallery is open otherwise Mon.-Fri. 9-5, Sat. 11-5, Sun. 1:30-3:30. 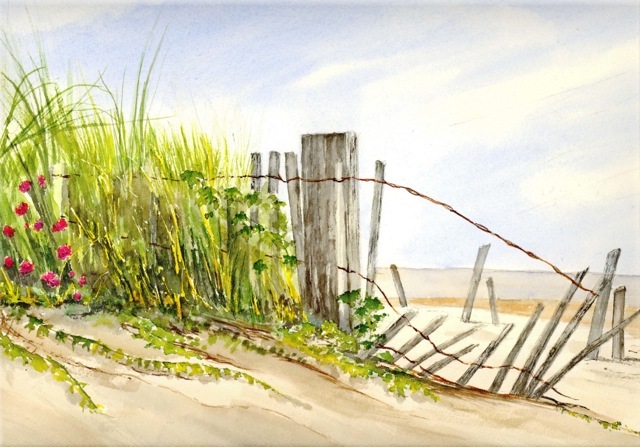 Join Jane for a discussion and slide show of her photographic inspiration and watercolors, at the River Garden’s Brown Bag Lunch at noon on Fri., Jan. 30.